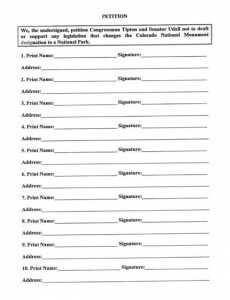 Above is a petition being circulated by Sue Benjamin of Grand Junction in which she asks for signatures of neighbors to join her to oppose designating Colorado National Monument as a new national park. Her petition language is italicized for the purposes of contrasting her statements with our facts in the document below. The response with actual facts and corrections is offered by the Grand Valley Citizens who favor seeing the Monument designated as a national park. The actual facts and our corrections are in bold typeface. Read the information below given to me by my neighbor. You do have to be a resident of Colorado to sign the petition. Those of you who exercise your dogs on the various paths, will no longer be able to do that. Dogs are currently not permitted on any of the trails in Colorado National Monument due to impacts to wildlife, fragile vegetation and the biological soil crust. Dogs are welcome and permitted on paved roadways, at overlooks, and in the campground. The effort is substantially more than a simple “name change”. In order for an area to be legislated as a national park it has to contain nationally significant resources and/ or commemorate major historical events and cultures. Our website (http://gjforparkstatus.com/) offers factual information on the criteria that Colorado National Monument meets to be considered for national park designation. Former Congressman Scott McInnis helped move legislation forward to establish Black Canyon National Park and Great Sand Dunes National Park while in Congress. The two parks and their adjacent communities have not seen “negative aspects” of being legislated as national parks. The petition statement is not based in facts. 1. Even though both are regulated by the Federal Government National Parks, are managed far more extensively than Monuments. The National Parks are the “Crown Jewels” of the Park service and subject to far more regulations. Do you think that Yellowstone is managed the same as the Colorado Monument? This is totally inaccurate. National parks and national monuments are all a part of the United States National Park System. 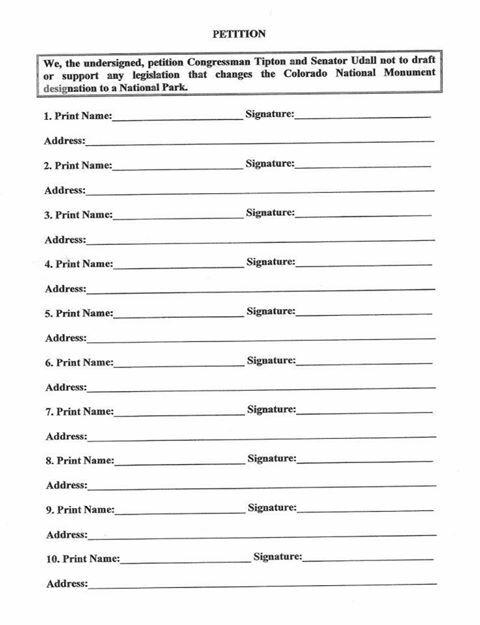 National parks, national monuments and all units of the national park system are subject to the same federal regulations. The petition’s statement is blatantly inaccurate. 2. There is such a thing as “View Shed” – when the Park service decides that anything within the “View” of the Monument should be a part of the Park. This includes the regulations of the air quality (smoke from burning off of irrigation ditches and fields would be offensive) light pollution (regulating the amount of candle power a city can display at night). This is blatantly inaccurate. The National Park Service does not make determinations about adding “anything within a view shed” to a park. The National Park Service does not make regulations pertaining to air quality, burning of ditches or light pollution. Air quality permitting and visibility protection are the authority of the state of Colorado. The state, the county and the city regulate other aspects pertaining to ditch burning or lighting regulations. Changing the Monument’s status to a national park will NOT drive changes in air quality standards. The Monument is a Class II area under the Clean Air Act. Class I areas include national parks over 6,000 acres, wilderness areas over 5,000 acres and international parks that existed in 1977. Although Great Sand Dunes and Black Canyon of the Gunnison are now national parks, only the wilderness in those areas that existed in 1977 classify as Class I areas. Additionally Congress designated 158 areas as Class I areas, which included larger national parks and national wilderness areas that were already in existence on August 7, 1977. These “mandatory” Class I areas may not be designated to a lower classification. they have not been designated as Class I. Examples of this include most park areas in Alaska and wilderness areas administered by the Bureau of Land Management which have all been designated after the Federal Land Policy and Management Act of 1976 which unified and clarified the authority of the Bureau of Land Management. Examples of larger Bureau of Land Management wilderness areas in western Colorado that are Class II and not Class I are Black Ridge Wilderness Area which was established in 2000 and Dominguez Canyon, established in 2009. The 158 Class I areas that were designated in 1977 were also afforded protection of visibility through the development of state implementation plans explicit to visibility. Any proposed legislation to re-designate the Colorado National Monument to a national park would not require changes in air quality class. 3. The caveats that are included in the Chamber’s endorsement would most likely be thrown out of any bill that would go thru the house and Senate and if they are included, could be over-ridden by the EPA or other Federal agency. Not true and not based in any factual information, just speculation by petition’s author. Federal agencies do not have authority to override Acts of Congress. 4. The traffic that is said to be generated would far exceed the capability of the existing roads on the Monument. One solution would likely be the same as the Maroon Bells in Aspen – parking cars at the base and busing visitors over the monument. Not based in fact. Colorado National Monument fully rebuilt and upgraded Rim Rock Drive, a project finished in 2008. The Monument added new pull-outs and other road improvements for visitors. The Monument works closely with the tourism industry and is able to space out group bus tours. The Monument has also made improvements to the pavement surface to make the surface smoother and add safety for the thousands of cyclists who enjoy the Monument. There is no factual comparison that can be made between Maroon Bells and Colorado National Monument. Again the petition’s author is not working with facts to make the suggestion. Additionally, local traffic to Colorado National Monument historically mirrors the growth of Mesa County at 2 to 4 percent per year. The Monument currently has plans in place aimed at accommodating that growth regardless of monument or park status. 5. At the time the Monument was designated, it took a lawsuit to allow the residents of Glade Park to pass through the gates without paying each time – could this happen again? The petition’s author does not have a grasp of facts or local history. The Monument was established in 1911. The formal Glade Park Right of Way was established in 1986. Glade Park residents will always have the use of Rim Rock Drive. There will be no change in access for Glade Park residents or their visitors. 6. The Monument is currently an “unfriendly neighbor”. They do not allow bike races there – If a National Park, they could be even a more unfriendly neighbor. Wrong again. The Monument shared a very positive relationship with the community and numerous organizations and partners throughout the Mesa County including School District 51 for more than a century. Numerous biking events have been allowed on the Monument but large professional sporting events including professional bike races are not permitted by the National Park Service due to the impacts on fragile resources, wildlife, historic sites and to the visiting public at the height of the busy visitor season. The National Park Service is credited with generating millions of dollars annually for communities adjacent to national park areas, be they national parks, national monuments or other national park system units. It is incorrect to suggest that the Monument is or surmise that a future national park would be “an unfriendly neighbor”. Of course he expounded on these points to a great extent, but these are the main points for consideration. Also take the time to call Scott Tipton: : (970) 241-2499 225 or write directly to his office at North 5th St., Suite 702 Grand Junction, CO 81501. We need these calls and petitions done within two weeks.